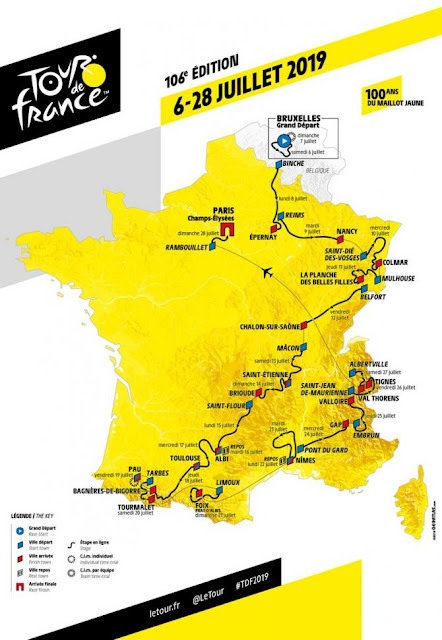 Regular readers will know that I am particularly fond of the Tour de France as a sporting spectacle, and it's one of the highlights of my year. Each year, I look at the route and assess the potential for seeing particular stages, and also see the particular climbs and other memorable moments. Next year's route has a Grand Depart in Brussels, and is described as the highest ever. The Alpine stages includethe Col d'Izoard, the Col du Galibier, and the Col d'Iseran – the highest paved road in Europe.